​​Adopt-A-Trout (AAT) is an environmental education program that combines several disciplines to promote awareness of local watersheds to youth. 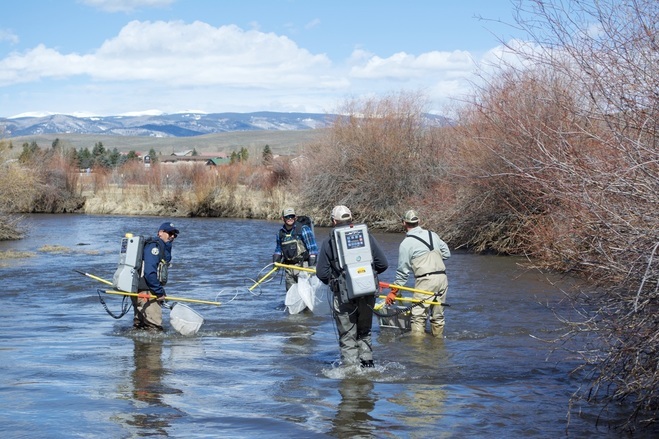 This is a collaborate effort between Gunnison Angling Society, Trout Unlimited, Coldharbour Institute, Colorado Parks and Wildlife, and Gunnison Watershed School District to conduct an environmental education and research program. This project is located on the lower reaches of Tomichi Creek near the City of Gunnison, CO. from the upstream end of the Tomichi State Wildlife Area downstream to the confluence with the Gunnison River. Click the link to visit the AAT website where you can actually track trout.